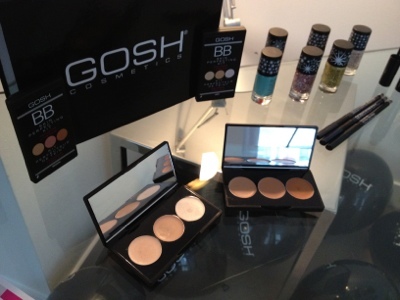 Yesterday I got to go along to the new GOSH spring summer launch and see what exciting new products they have coming up. 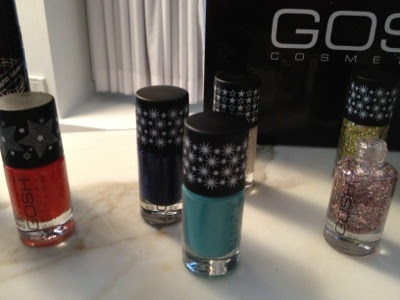 GOSH are a Danish brand that are stocked exclusively in Superdrug in the UK. Previously I've only used a small selection of their makeup so was really excited to see what they were launching. Top of the list I think have to be their new skin perfecting kits. 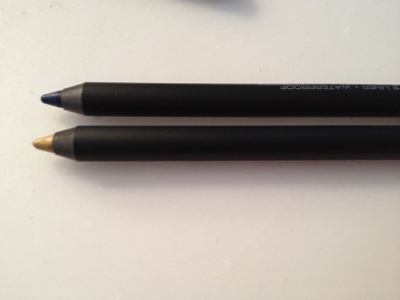 These contain two shades of concealer and a highlighter and come in both a light and a medium set. The light palette worked perfectly for me, using the lighter shade to conceal and then the darker shade as more of a contour. These will retail for £9.99 which I think is quite good value. 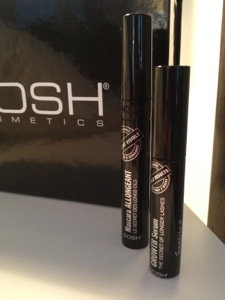 Two other really exciting things GOSH are releasing are their new growth serum for lashes and a growth mascara. 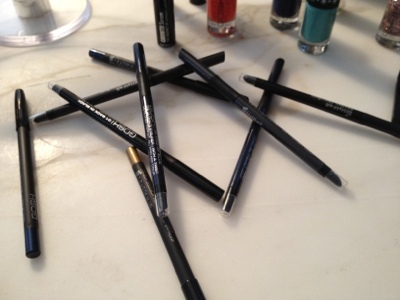 These promise to lengthen and thicken the lashes in just 14 days. 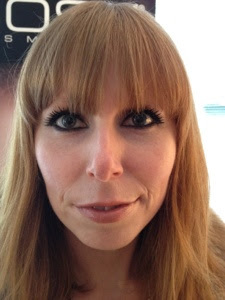 I had the growth mascara applied over my usual daytime mascara and you can see it looks pretty impressive as it is! The growth serum is set to retail at £14.99 and the growth mascara £8.49. I'm going to be testing both of these over the next few weeks and will share my results with you. The new products should be launching in stores on the 13th March and a little bird told me that there might be a 3 for 2 offer coming soon after, so that could be the perfect time to try some of these out. What do you like the look of from the new GOSH lines? I remember when Gosh were well known for their "Darling" lipstick which was constantly sold out. Ha!